At Orange County CyberKnife, we do more than just provide high-quality cancer treatments from our Orange County, CA cancer care facility: we work as a team with our patients to ensure that they thrive through every stage of treatment. As a leading cancer treatment center serving southern California, we’re proud to offer some of the most advanced cancer treatments in the world, and we strive to make treatment as convenient as possible for each of our patients. We treat a wide variety of cancerous treatments and can often use non-invasive methods like CyberKnife, including with conditions like abdominal cancer. Because abdominal cancer actually encompasses a number of specific cancerous conditions, a wide variety of signs and symptoms may signal abdominal cancer. Often, a patient may initially see a doctor for abdominal pain, digestive issues, or other symptoms related to abnormalities in the abdominal area. Your doctor will likely then take your medical history and perform an examination. If your doctor suspects cancer may be present, he or she may order a variety of tests to determine which, if any, cancerous condition exists. While taking your medical history, your doctor will ask you a number of questions related to any symptoms you may be experiencing like eating or digestive problems, pain in the abdomen, bloating, abnormal stool, nausea or vomiting, or any other relevant symptoms. Your doctor will also ask about your habits and lifestyle to identify any risk factors for abdominal cancer. After taking this history, your doctor will perform a physical exam to learn more about your general health and spot any indications of cancer. If any form of abdominal cancer seems to be a possibility, your doctor may order tests or send you to a gastroenterologist, a doctor specializing in the digestive tract. 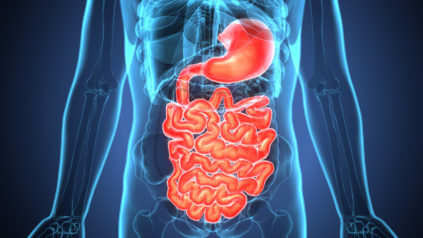 Your gastroenterologist will then perform an exam and potentially do further testing. If you are diagnosed with a form of abdominal cancer, your doctors and cancer care team will work with you to determine your best options for moving forward. There may be any number of specific treatment methods available to you depending on the form and stage of cancer you have. While many patients feel like they need to choose a treatment immediately, it’s almost always better to wait and give the decision time. You’ll need time to process all the information, think about what you want for yourself, and decide on a treatment in your own time. If you have any questions on your condition or the treatments available to you, never hesitate to ask any member of your cancer care team. Often, your cancer care professionals will opt to combine two or more of these methods for the best overall treatment. No matter what form of abdominal or other cancer you’re diagnosed, we know how frightening of an event this can be – and the team at OC CyberKnife is standing by to help. Call us today at 714.962.7100 if you have questions on cancer in general or if you’d like to schedule a treatment consultation or second opinion appointment. Working together, we’ll create a treatment plan that works for your lifestyle and your needs – so you can beat cancer and get back to your normal, healthy life.